Children's Fairyland invites adults in at night. Every year, for at least one night, Children’s Fairyland (699 Bellevue Ave., Oakland) lets in adults without their children. 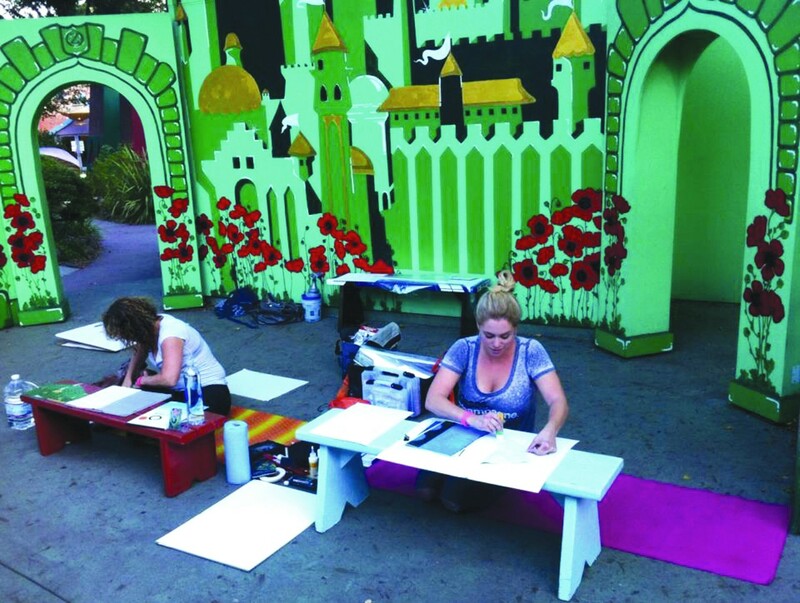 Drawn Together, which will take place on September 25, is a nighttime party for big kids at the magical theme park for which more than fifty artists from Oakland and the broader Bay Area create more than one hundred works of art inspired by the classic Fairyland design. While the artists paint, attendees are welcome to roam around, drink complimentary beer and wine, eat, and listen to Russell E. L. Butler spin records. All works of art will be sold for $40 at the end of the night, and all proceeds will go to providing reduced and free Fairyland experiences for youth in need. Artists to look out for include the wildly imaginative John Casey, seasoned Oakland muralist Dan Fontes, typography expert and muralist Marcos LaFarga, and local printmaker and comic book extraordinaire Veronica Graham.